Josh Keyes is hands down one of my favorite emerging contemporary artists. His grasping and iconic images are so precise and detail oriented. His content showcases a broken down world left by man that is overwhelmed by nature and wild beast. The combination of the earth oriented subject matter and the stylistic embellishment of street art hand styles and “tags” creates a tension that always grabs my attention. 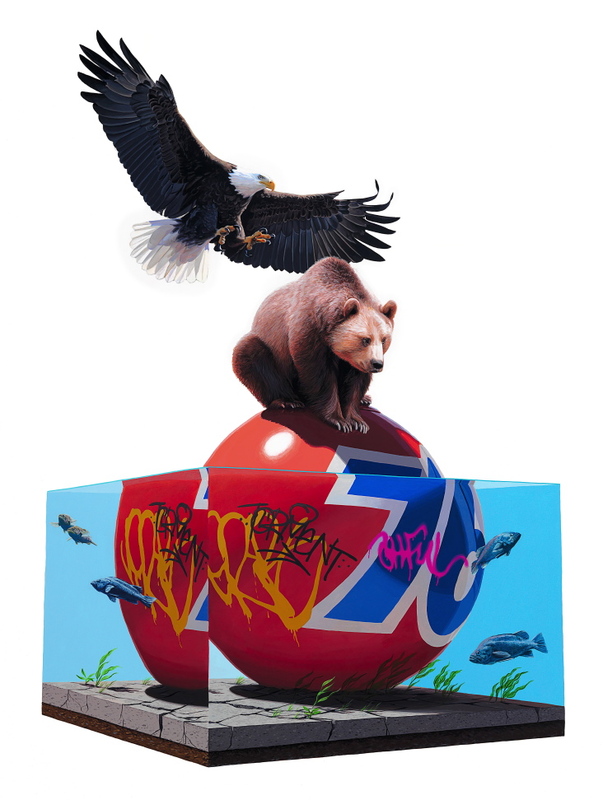 Look out for Josh Keyes as the featured cover for the Feb. issue of Juxtapoz! Check out his website at www.joshkeyes.net.